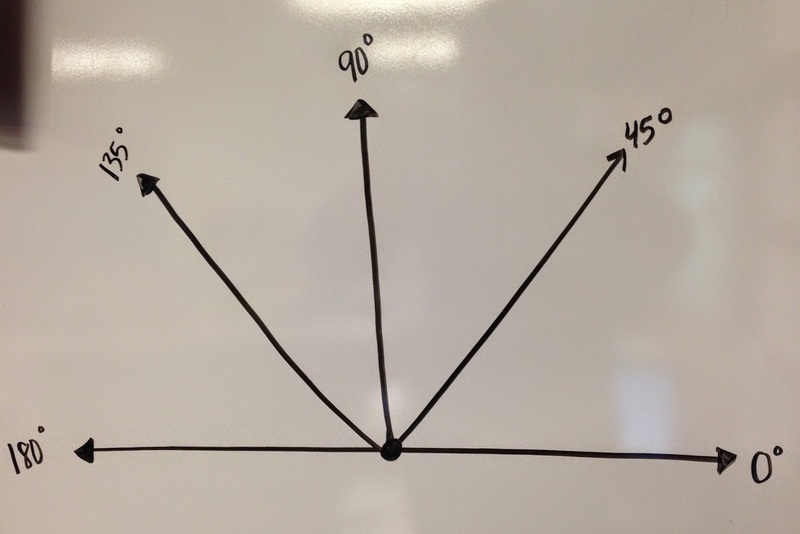 We began the week naming angles. 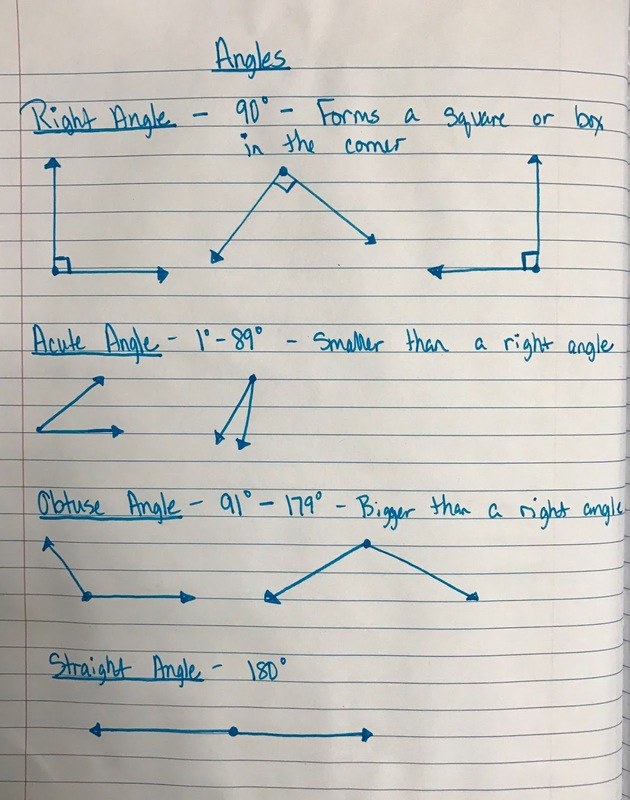 Most of the students were familiar with the types of angles, but we reviewed the important characteristics of straight angles, obtuse angles, acute angles, and right angles. 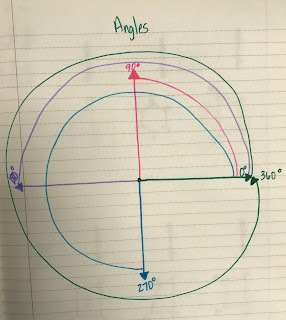 Next we worked on measuring angles. Measurement is still a very abstract idea for 4th graders, so we began by discussing measurement as a whole. What do we use different measurement tools to measure? 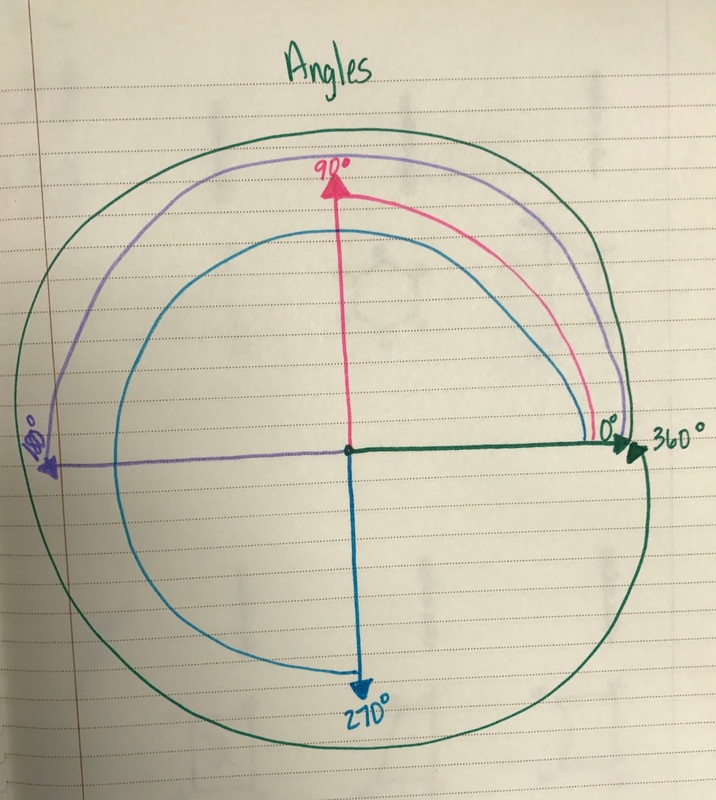 I posed the question, "Would a ruler work when trying to measure angles?" In the beginning of our discussion, many kids believed it would. After trying it out, they came to the conclusion that we needed something that measures in degrees. 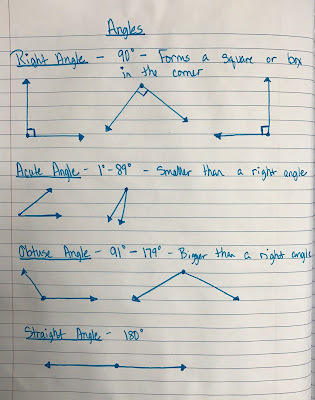 They understood the unit wasn't correct, but weren't sure what degrees actually are, though we had discussed degrees when classifying angles as right, acute, obtuse, and straight.